Fractional laser technology is used for treatment of scars, including acne scars, as well as a range of skin rejuvenation treatments on all skin types. 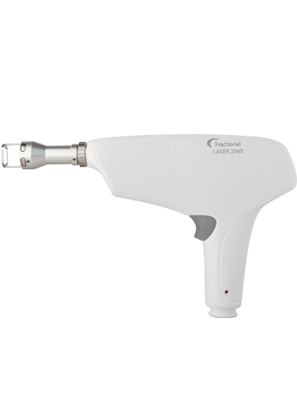 The Fractional laser handpiece is equipped with two matrix tips- 7X7 (49 pixels) and 9×9 (81 pixels). The software of the handpiece enables you to easily set the total energy output – either 0.8, 1, 1.2 or 1.4 Joules/Pulse. You can also choose the pulse duration (1, 1.2, 1.5 or 2.0 msec) and the repetition rate between the pulses. The handpiece is lightweight and easy to use and allows easy access to the treatment area.